The Chicago Board of Trade Building designed by William W. Boyington c. 1885 on Jackson Boulevard in Chicago, Illinois. This was the first commercial building in Chicago to have electric lighting and the first building in the city to exceed 300 feet (the tower was 320 feet), making it the tallest building in Chicago at the time. 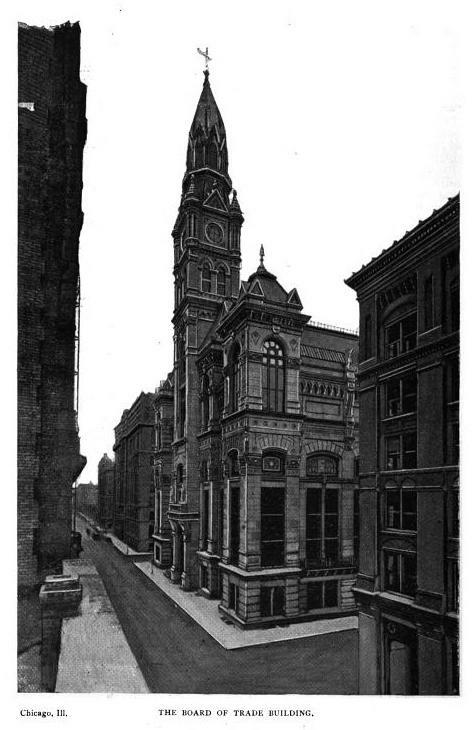 The building was demolished in 1929 and replaced with a much larger Board of Trade building designed by Holabird & Root. 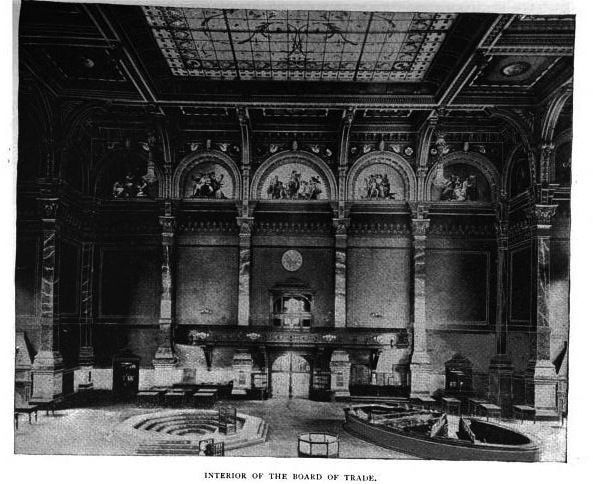 Click HERE for more on the Chicago Board of Trade. Photos from Architectural Record, 1893.